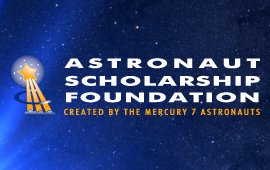 The Astronaut Scholarship Foundation (ASF) is a 501(c)3 non-profit organization that provides annually more than 50 scholarships to the brightest and most talented college students in science, technology, engineering and mathematics. 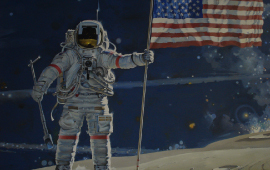 To aid the United States in retaining its world leadership in technology and innovation by supporting the very best and brightest scholars in science, technology, engineering and mathematics while commemorating the legacy of America’s pioneering astronauts. ASF seeks to inspire, encourage, and facilitate Astronaut Scholars to embody the highly respected astronaut characteristics, such as intelligence, ambition, self-motivation, high ethical standards, persistence, tenacity, adaptability, and a passion for science, exploration, and innovation. This focus will aid in placing the best American scholars in positions that will positively change and influence society. 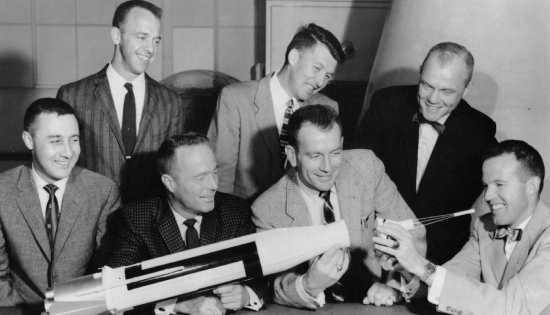 The Astronaut Scholarship Foundation was created in 1984 by: the six surviving Mercury 7 astronauts (Scott Carpenter, Gordon Cooper, John Glenn, Walter Schirra, Alan Shepard and Deke Slayton); Betty Grissom (widow of the seventh astronaut, Virgil “Gus” Grissom); William Douglas, M.D. (The Project Mercury flight surgeon); and Henri Landwirth (Orlando businessman and friend). Together they represented a wealth of collective influence which was particularly suited to encouraging university students pursuing scientific excellence. 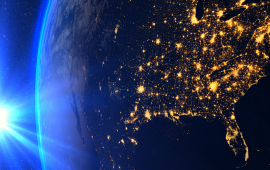 Their mission was to ensure the United States would be the global leader in technology for decades to come. Since that time, astronauts from the Mercury, Gemini, Apollo, Skylab and Space Shuttle programs have also embraced this noble mission. ASF can partners with industry leaders, universities and individual donors to reward the best and brightest university students pursuing degrees in science, technology, engineering and mathematics (STEM) with substantial scholarships. The prestigious Astronaut Scholarship is known nationwide for being among the largest merit-based monetary scholarships awarded to undergraduate STEM juniors and seniors. ASF has a life-long relationship with each Astronaut Scholar and provides them with mentors, professional and personal development and networking with astronauts, C-suite level executives and industry leaders to help advance their careers.